I went as a butterfly for Halloween three years in a row, a fact I still have trouble admitting. As if two years of breaking the mold and being the only boy butterfly on the block wasn’t enough, I decided that I’d wear the costume a third year and make my debut appearance at my elementary school’s Halloween carnival. The butterfly costume stayed the same size, little Max’s body did not. I remember putting the outfit on in a tizzy of excitement, not realizing how ill-fitting my leotard was this year. It wasn’t until we walked into the carnival and I saw all of the other kids dressed up in amazing costumes (that fit them swimmingly) that I looked down: my rolls of fat bulging from under my wings staring up back at me. I started hysterically crying, forced my mom to drive me home, and changed into a different, far less exciting get up. After that day, I could never look at my body the same. I’d spend at least an hour every night after my parents put me to bed looking in the mirror and taking inventory: checking if anything had gotten bigger or God-willing smaller. I’d cry to my mom every night about how I hated my body and wished I could just get a different one. When she’d tell me that I was perfect the way I was; I’d tell her she’s required to say that because she’s my mom. I tried everything to change my body. I tried eating less, I tried not eating at all, I tried playing every sport, I tried eating only fruit, I even turned to God (a figure with whom I had very little communication or experience) once or twice and asked for a brand new body. I went through phases of real, deep depression and at a very young age confronted this idea of what it is to so viciously hate the body that I lived in. Then, as if the universe was listening to my nightly prayer, at age 12, I took my first dance class and everything began to change. When dancing, I loved my body. I was in control; it was my canvas to create something beautiful and interesting and intriguing. In everyday life, however, I still wanted nothing to do with my body. I became addicted to dancing, my only escape from that self-loathing. The more I danced, the less I had to think about how much I hated my body. I moved to New York ready to take on acting school, the city, life without parents, a social life, a dating life maybe, but most importantly, to “become who I really am.” This included, of course, finally having a body that I was satisfied with. I continued dancing, surprisingly ate healthier than I ever had, and worked out hard every day. I was late. I arrived at SoulCycle Union Square a minute or two after class had begun, put my things in a locker, grabbed a water and some shoes, and rushed into the room with a staff member. I entered the room and was utterly overwhelmed with this insane dance party packed to the brim with bodies moving in unison. I left the class having no idea what I had just experienced, but I knew I was hooked and haven't stopped riding in the five years since. About two years into my SOUL journey, I dropped into a class on a random week night. I can’t remember the instructor for the life of me, but I do remember that at one point in class, he/she asked us to close our eyes and picture the life we wanted. I shut my eyes and all of a sudden I saw myself standing on a stage. I was performing some wild production number, singing and dancing my face off, which was no surprise to me. What was a surprise, was how I looked. I looked exactly the same: no idealized, chiseled version of myself, just me. After that class, SOUL became my temple; my space apply positive physical action to the dreams I wanted to manifest in my life. The beauty of riding a bike that is stationary is that it only goes where you want it to. At SOUL, I finally had to face my demons. I had to be honest with myself and realize that by saying I hated my body, I was saying I hated myself. I had to come to terms with the fact that there is no such thing as the perfect body. I had to figure out how to love myself. I began to focus on strength and feeling grounded rather than working hard to achieve some aesthetic perfection. I pushed against resistance not to burn the extra fat, but to push through my doubts, my fears, my insecurities. Every time I would clip into the bike, I would take a deep breath and remind myself how lucky I was that I had a body that would move through space and support me in fighting ferociously towards my dreams. I began to walk through life with a different ownership of space. I stood just a little bit taller. I asserted myself into situations that I formerly would’ve cowered from. So, why did it take SoulCycle to make all this happen? For me, it’s all about the energy I feel in the studio: bodies moving together, holding each other accountable, inspiring one another to reach new limits, dancing and feeling free with one another no matter your shape, size, color or background. As I stood in the TriBeCa studio B, preparing for my third and final Community Ride before going onto the schedule, I was so preoccupied with ‘getting it all right’ that I felt like I had lost sight of why I was doing this in the first place. I took a deep breath and shut my eyes for a moment. I saw staring back at me the little boy in his ill-fitting butterfly costume and suddenly felt an overwhelming sense of love and gratitude for that boy and for the man that he became. I remembered how nearly five years ago, a SOUL instructor said one thing that lit a fire within me and changed the course of how I’d see myself forever. I realized that through sharing my experience honestly and with love, there was a chance I could say one little thing that could turn someone’s life in a different direction. 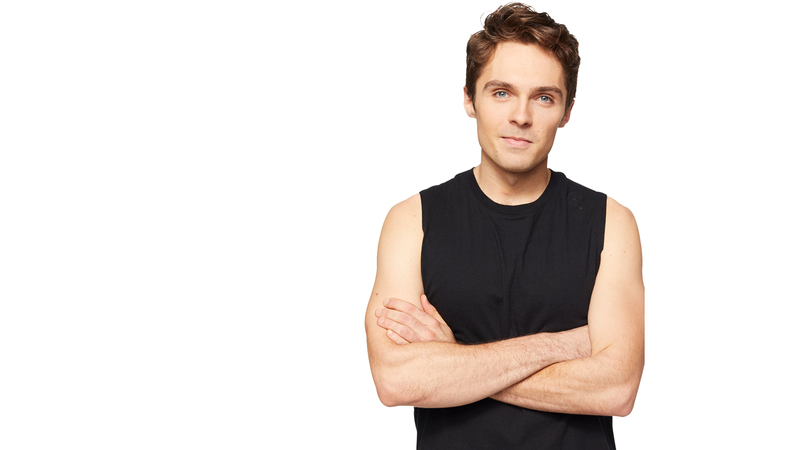 Catch classes with MAX at East 54th Street, West 60th Street, Short Hills and West Village. Want to ride? Grab a series HERE and book a bike!